זכר ימות עולם בינו שנות דור ודור, שאל אביך ויגדך זקניך ויאמרו לך. בהנחל עליון גוים בהפרידו בני אדם, יצב גבולות עמים למספר בני ישראל. כי חלק ה' עמו, יעקב חבל נחלתו. Remember the days of the world, understand the years from generation to generation; ask your father and he will recount to you, your elders and they will tell you. When the One Above divided to the nations their inheritance, when he separated the sons of Adam, He set the boundaries of the peoples according to the number of the children of Israel. For His people is His portion, Jacob is the portion of His inheritance. "זכור ימות עולם בינו שנות דור ודור" (דברים לב:ז) ... נראה דפשוטו של מקרא קאי על כל הדורות ועל כל המעשים הנעשים בעולם. דמאחר ד"בכל הארץ משפטיו" (תהלים קה:ז) ומשפטי ה' הם לפי דיני התורה, וא"כ כמו שצריך להבין דברי התורה ולהעמיק בה, כן ג"כ צריך להתבונן בכל המאורעות הבאות לעולם ולמצוא יסודם עפ"י משפטי התורה. אבל אל יסמוך האדם על בינתו, כי דעתו קצרה מלהבין דעת עליון, אלא צריך לשמוע להמקובל אצלנו בתורה שבע"פ. וזהו שהוסיף הכתוב "שאל אביך ויגדך, זקניך ויאמרו לך." וכגון הסיפורים שנכתבו בכתבי הקדש א"א להבינם מהכתובים לבד כי אם על פי פירושי רז"ל. "Remember the days of the world, understand the years from generation to generation" … The simple meaning of the verse applies to all generations and all the events that happen in the world. For, "His judgments are throughout the world" (Psalms 105:7), and the judgments of God are in accordance with the laws of the Torah. Therefore, just as we must understand the words of the Torah and delve into it, so too we must contemplate all the events that take place in the world and find their basis according to the judgments of the Torah. However, a person must not rely upon his own understanding, for his intellect is insufficient to understand the knowledge of the One Above; rather, it is necessary to listen to he who is recognized in the Oral Torah . This is the intent when the verse adds, "ask your father and he will recount to you, your elders and they will tell you." This is akin to the fact that it is impossible to understand the stories of the holy Scriptures from the texts alone, except with the commentaries of the Sages. וכדי להבין דברי ימי עולם (וועלט געשיכטע) מסרה לנו התורה מפתח גדול, לידע את הציר אשר עליו תסוב ההנהגה העליונה בעולם, והוא בכתוב מיד, "בהנחל עליון גוים בהפרידו בני אדם יצב גבולות עמים למספר בני ישראל כי חלק ה' עמו יעקב חבל נחלתו," ופירושו כי מאחר שמובן מאליו כי כל היצורים נבראו לעשות רצון קונם, ומכל סוגי הנמצאים העיקר הוא המין האנושי, ומהמין הזה העיקר הוא עם ישראל שהם חלק ה' ועבדיו... ונמצא שתכלית כל הבריאה היא רק בשביל ישראל, וכמו שפירש"י (בראשית א:א) "בראשית — בשביל ישראל שנקראו ראשית." וא"כ גם המעשים הנעשים בעולם תכליתם רק בשביל ישראל. וזה מפורש בכתוב (צפניה ג:ו-ז) "הכרתי גוים נשמו פנותם החרבתי חוצותם... אמרתי אך תיראי אותי תקחי מוסר." ומזה למדנו שאין פורענות באה לעולם אלא בשביל ישראל (יבמות סג.). ולדוגמה, גבולות העמים והמדינות בשנים האחרונות שנקבעו אחרי המלחמה, צריך להבין ולזכור כי טרם שנכתבו בוורסייל כבר נכתבו ונחתמו בבי"ד של מעלה. ושמה עיקר השקפתם היא רק בשביל ישראל, לטובתם או לפורענותם להוכיחם, כמו שכתוב "הוי אשור שבט אפי" (ישעי' י:ה). In order to understand world events, the Torah gave us an important key by which to know the axis upon which the Heavenly conduct of the world turns, and this is in the verses immediately following, “When the One Above divided to the nations their inheritance, when he separated the sons of Adam, He set the boundaries of the peoples according to the number of the children of Israel. For His people is His portion, Jacob is the portion of His inheritance.” The explanation of this verse is as follows. It is self-evident that all creatures were created to serve the will of their Owner. From all the categories of existence, the primary is the human race, and from this race, the primary is the people of Israel, for they are the “portion” of God and they are His servants. … The purpose of creation is only for the sake of Israel, as Rashi  comments [on Genesis 1:1], "B’reshis – for the sake of Israel which is called reshis (first)." Therefore, everything that happens in the world is only for the sake of Israel. This is explicit in Scripture (Zephaniah 3:6-7), "I have cut off the nations, their towers are desolate, I have destroyed their streets… I said, 'Just fear me, accept admonishment.'" From this [verse] we learn that no suffering comes to the world except for the sake of Israel (Talmud, Yevamos 63a). For example, by the setting of the boundaries between nations and countries that was done after the war, it is necessary to understand and remember that before they were set in Versailles, they had already been written and sealed in the Heavenly Court. And there the primary outlook is only for the sake of Israel, either for their benefit or to afflict them for the purpose of admonition, as it is written, “Woe to Assyria, the rod of my anger” (Isaiah 10:5). This is what is meant by the verse, "He set the boundaries of the peoples" — continually, in every generation — "according to the number of the children of Israel." The reason for this is, "For His people is His portion." Israel alone is the portion of God, and not the other nations, and therefore, all of the Heavenly direction of the world is directed for the needs of the nation of Israel. Even though our understanding is insufficient to grasp what connection there is between the needs of Israel and the boundaries of distant isles at the ends of the earth, but "He Who knows the generations from the beginning"  knows that there is some necessity for the Jewish people, in the present or future. As Maimonides writes, sometimes a great and glorious palace will be built, and the entire purpose of its existence is because a century later a pious man will pass by during a rainstorm and he will go under the roof of the palace gate to shelter himself from the rain or snow. Reb Elchonon Wasserman teaches us that the study of history is akin to studying Torah, if one engages in that study with the proper perspective and guidance. The primary key to a proper understanding of history is the recognition that God conducts all the events of the world for the benefit of the Jewish people. Through the proper study of history, we can come to know the will of God in a manner akin to the study of the Torah itself. Printed in Kovetz Maamarim and in Dugmaos L’Biur Agados al Derech HaPeshat in the back of Kovetz Haaros. R’ Elchonon’s specific mention of the Oral Torah, rather than simply “the Torah,” may be to specifically limit the category to those who are true Torah scholars with a genuine mesorah (tradition) from their own rebbeim (teachers). 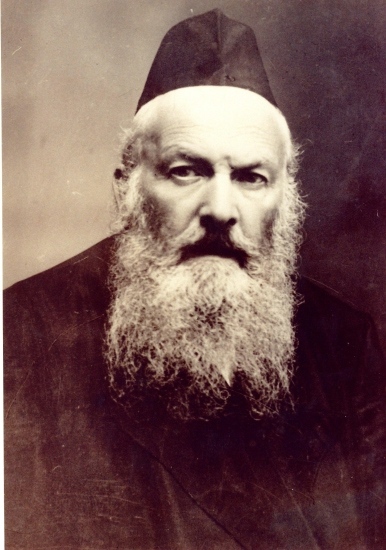 Rabbi Shlomo Yitzchaki (1040-1105) – author of the most important and influential commentary on the Jewish Scriptures. Rabbi Wasserman is speaking here of the peace negotiations that took place after World War I, in which the map of Europe (and much of the Middle-East) was dramatically redrawn. do you take questions on posts that you might not have looked at in a long time? if yes: where does the reason of part 2 end and this one begin? I certainly accept questions on "old" posts. In fact, I strongly encourage them! However, I'm not sure I understand the basis for your question here. The reason for studying Jewish history in part two is that we should learn from our experiences and not repeat the mistakes of the past. The reason being discussed here is R' Elchonon's idea that studying the will of God as expressed through history is akin to studying the will of God as expressed in the Torah.